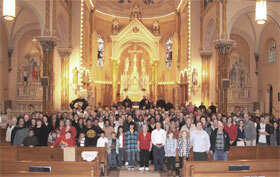 Please see the Parish page for a complete listing of Pastoral & Support Staff contact names and phone numbers. 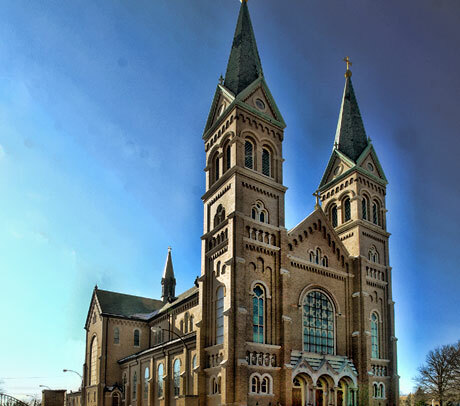 Please contact the Friary at (314) 353-7470 for all emergencies. Mass, faith formation opportunities, community celebrations, concerts - call or contact a member of the parish staff to become part of the Parish. Everyone's welcome! Download our Guide Book to have our parish information at your fingertips! Please contact us if you change your phone number, move, or have children listed in our directory who are no longer living at home so we can update your information. We invite sons and daughters who are now adults to register under their own name, even if they still live at home. Designed and developed by Three16 Design.